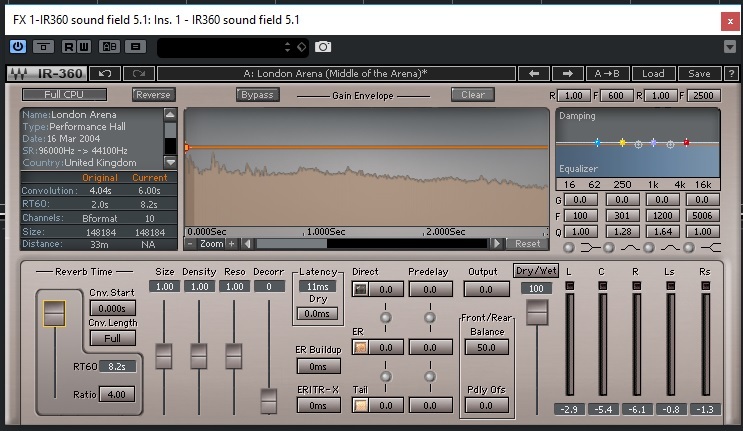 IR360 Convolution Reverb, Software convolution reverb from Waves in the IR series. Waves IR-360 is a plugin that's mostly used for people who are doing things involving movies. 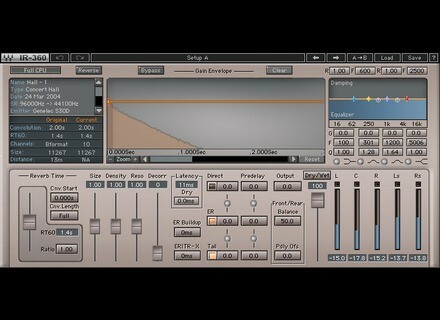 The plugin itself is a 5.1 surround reverb plugin, and it's crazy powerful. It has a CPU mode, Reverse, IR graph, reverb damping, reverb EQ, reverb time section, various reverb control parameters, latency section, dry, ER build up, ER/TRX crossover, crosstalk, dry/wet, dry gain, front/rear balance, front/rear pre-delay, wet section parameters, output gain fader and an output meter for you to monitor everything. As you can see, the plugin itself is packed full of features, and a lot of this might go over some beginners' heads. There were no compatibility issues with this plugin at all. I can't comment on the manual as I never read it, but that's because I'm used to working with plugins like this. If you're a beginner, you might want to watch a few tutorials on this to see how everything works. 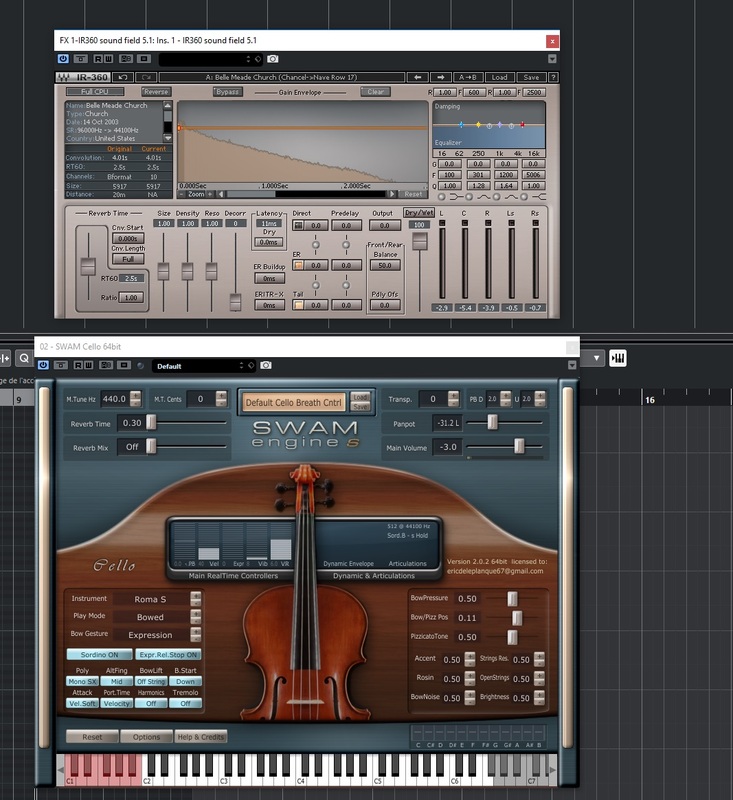 Thankfully, pulling up this plugin and getting a usable sound is fairly easy. 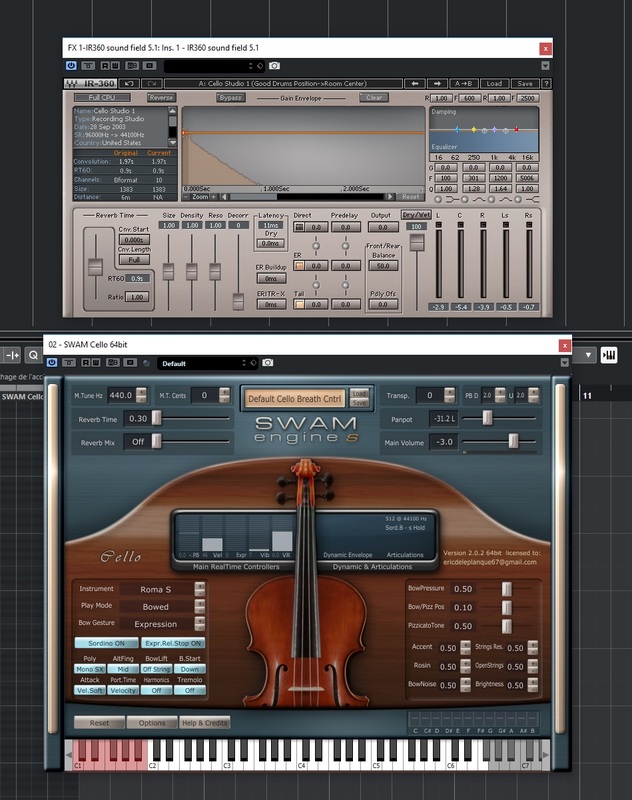 Waves plugins are the king when it comes to compatibility. I've never experienced a single issue when it comes to compatibility with these things. They're cross platform compatible, so you can use this on both Windows and OS X. If I had to list one gripe, it would be that these plugins are 32 bit. In a 64 bit world, the 32 bit plugins can be a bit annoying as a separate bridge program usually needs to be activated for them to work in a 64 bit environment. That aside, the plugin is great. The cool feature about this is that, despite it being powerful, you can use it on some lower end systems if you remember to press the CPU button in the plugin. That'll prevent it from wreaking havoc on your RAM. The plugin itself has some limited uses for my application as I mainly deal with stereo sounds. However, when I tried this with my Final Cut Pro movie I made, it worked awesome. I find it sounds very natural and authentic without having that fake harshness that so many reverbs out there can have. I recommend anybody who deals with 5.1 sound to check it out.